Yes! As demonstrated by this computer-generated image of iterating systems of mobius transformations. 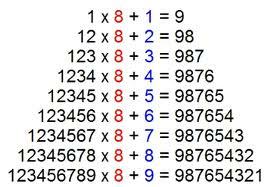 Math is everywhere, and though it often hides from everyday sight or observation, with the right focus it can be readily seen and appreciated. The fundamental or archetypal forms found in nature can be taught to children at a very young age. Children are more “tuned into” these forms than we adults are, so they quite naturally recognize and appreciate them. Form drawing is a wonderfully direct way to share an experience of these forms with your children. The circle can be divided in many beautiful ways, and in Waldorf Education, sixth graders use a compass and other drawing tools to do just that. A strong foundation for this is built in the early grades however, as freehand drawings within a circle, such as the triangle, square, pentagram, and hexagon are taught. Wikipedia says, “A fractal is a rough or fragmented geometric shape that can be subdivided in parts, each of which is (at least approximately) a reduced-size copy of the whole.” Such fractals can be found in everyday natural objects like clouds, mountain ranges, lightening bolts, coastlines, and snowflakes. Here’s an amazing image of a fractal generated by Uwe Krueger and Heinz Wolf entitled “The Jewels of the Czar. 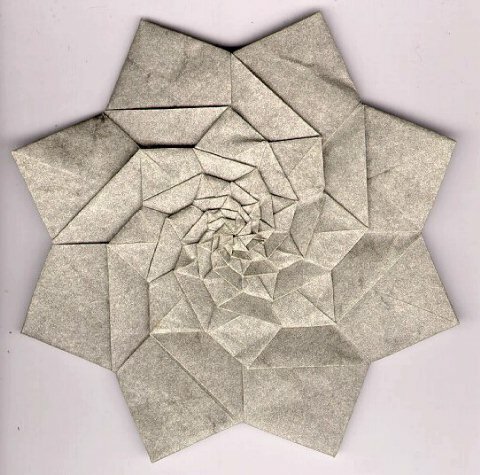 Origami is another wonderful way to access math’s hidden secrets and jewels. Many geometric forms can be folded in paper. This one is a version of the Fibonacci spiral, which can be found everywhere in nature: from pinecones, to sunflowers, to galaxies. Yes, even the spiral arms of the Milky Way conform to the Fibonacci sequence! intriguing and fascinating way, such as these two. since opportunities abound to make your homeschool math lessons sparkle with life and interest. The rewards are many, among them better retention and higher math scores. PreviousPrevious post:Homeschool Math in 3-DNextNext post:Who’s Afraid of Math?